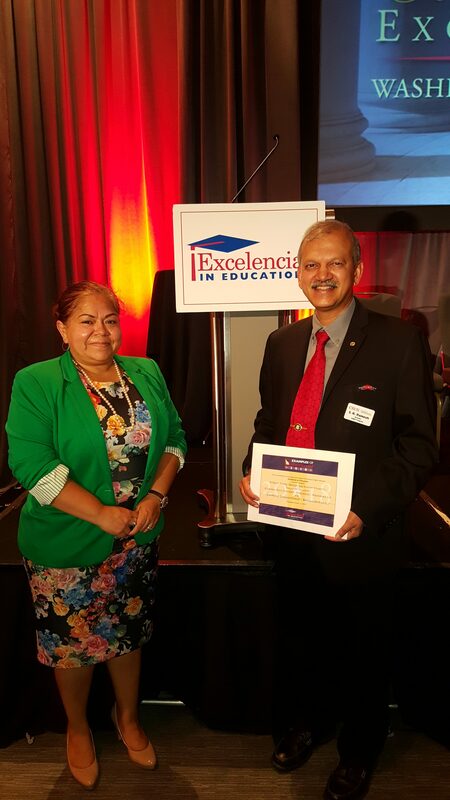 The AIMS2 Program was recognized as one of the six finalists for the 2018 Examples of Excelencia in the Baccalaureate category at the 2018 Celebracion de Excelencia held on October 11th, 2018, in the Mayflower Hotel in Washington DC. 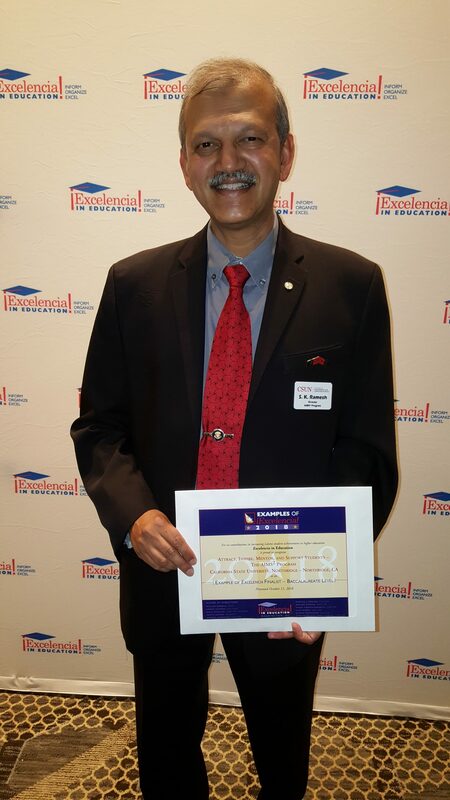 Program Director Dr. Ramesh attended the event and received the certificate of recognition on behalf of the program. Ms. Beatriz Ceja, Division Director for the HSI-STEM division from the US Department of Education was on hand to personally felicitate Dr. Ramesh and the program. We are deeply indebted to the USDE and the support and leadership of Ms. Ceja for making the AIMS2 program possible!